If you have a little spare time on your hands and are feeling a little artistic, how about lending your hand to some crayon carving. 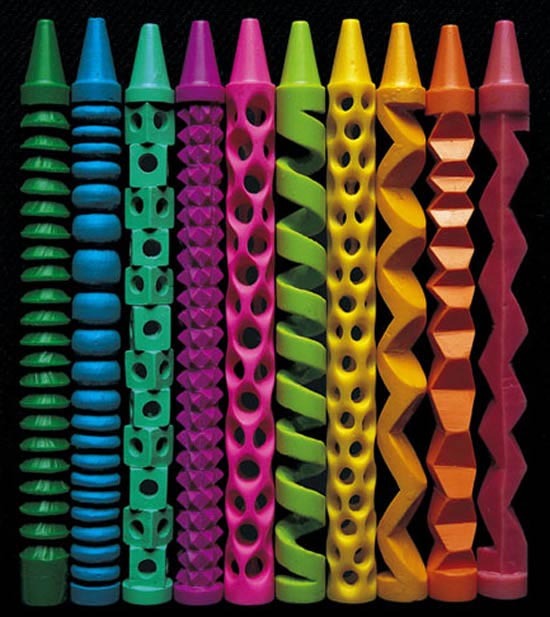 Hot on the heels of our pencil sculpting revelation comes the discovery of Pete Goldlust’s incredible carved wax crayons. Each crayon is immaculately presented – there’s not a single scratch upon the waxy surface nor a slip or mistake in pattern to be seen. 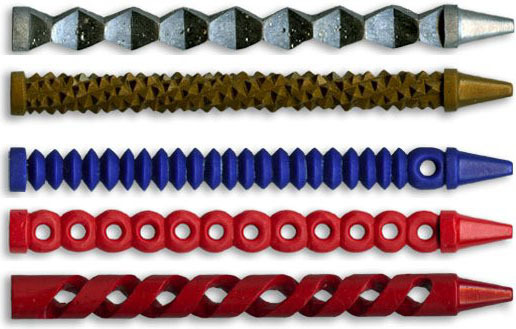 A look at Pete Goldlust reveals that each carefully carved crayon has a name – and they are clearly not chosen with any old plucked-from-the-sky method. With names like Crazy Mel, Self-Portrait as a Foot Massager and Gold Croc you can’t help but admire such ingenuity!